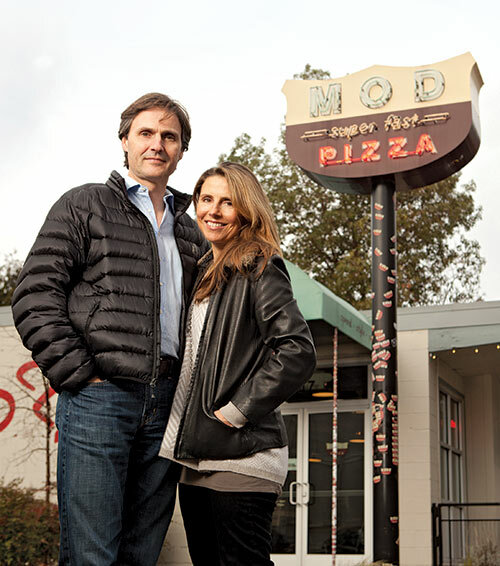 The MOD Pizza chain, which offers made-to-order pizza fast, is in a sector that can be a revolving door of new hires and rarely a career option for employees. But Scott and Ally Svenson wanted to make their company a good place to work. Staffers clocking more than 26 hours a week have medical, dental and vision coverage. Employees, or the MOD Squad as they’re known, also receive coaching in life skills such as budgeting, computer skills and leadership training. The chain, which has grown to more than 100 restaurants and 3,000-plus employees, also makes an effort to hire individuals with a range of disabilities. It promotes heavily from within; 11 of 14 general managers have risen through the ranks. The payoff: a very loyal staff. CAMPS is a nonprofit organization that provides small and midsize manufacturers and their strategic partners an opportunity to network and to learn more about issues affecting the sector. To address the shortage of workers, CAMPS supports several training programs. The group also has mapped the state’s medical device supply chain. With its students opening or managing more than 200 spas, barbershops and salons, Evergreen Beauty College styles itself as the Business School of Beauty. In addition to cosmetology training, Evergreen has a five-month program to help students develop financial literacy so they can manage their personal finances and run a business. The family-owned trade college has campuses in Everett, Bellevue and Renton.